CARY - Material developments, preservatives, sustainability, market data, international tariffs, and plastics in the environment are among the key topics to be presented to wipes brand owners, converters, and their entire professional wipes supply chain at INDA’s 13th edition of the World of Wipes (WOW) International Conference. Scheduled for June 24-27 in Atlanta, Georgia, registration is expected to surpass last year’s attendance, which saw 470 senior wipes professionals from 22 countries attend the four-day event. Berry Global, Inc., Wendy Warner, Ph.D., VP Global Specialties, HH&S Division – Industrial Wipes: Global Market Driven Innovations – presents trends and solutions for minimizing infections in healthcare, industrial manufacturing, and consumer and building services. 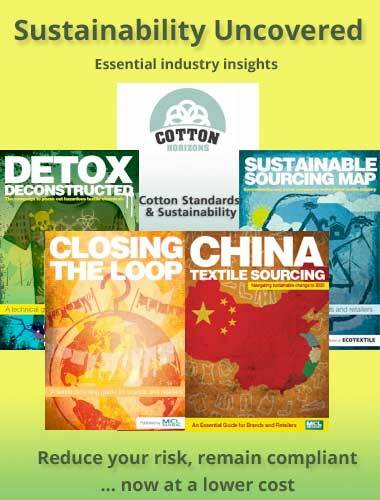 Cotton Incorporated, Jan O’Regan, Director, Nonwovens Marketing – Global Baby Wipes and Baby Diapers Market Review – shares recent market research, including economic and demographic data, into market similarities and regional differences in baby wipes and diapers from consumers in eight countries. Fibertex Nonwovens LLC, Jonathan Layer, Business Development Manager, Americas – Consumer Insights in Sustainable Materials – explores insights in consumer perceptions, expectations, trends, and market data in sustainable materials driving profitable opportunities and positioning for wipes. INDA, Jessica Franken, Director of Government Affairs – Real News in Global Nonwovens Trade and Tariffs – details international trade issues impacting our industry including the trade war with China, the Miscellaneous Tariff Bill, duties on polyester staple fibers, the NAFTA agreement, bilateral free trade agreements and more. INDA, Brad Kalil, Director of Market Research and Statistics – The North American Nonwoven Wipes Market…Where is it Heading? – presents the latest wipes market outlook, highlighting population trends and the impact of the Echo Boom. Kelheim Fibres GmbH, Helmut Lauterbach, Business Manager – Activated Viscose Fibers for Utilization of Disinfectants with Cellulosic Wipes – explores a new specialty fiber made with 100 percent renewable materials that solves the problem of viscose fibers inhibiting wipes function when used with certain disinfectants. Kimberly-Clark Corporation, Lisa Morden, Vice President Safety and Sustainability – Innovating for a Circular Economy – gain insights into how Kimberly-Clark reduces greenhouse gas emissions and diverts post-consumer waste from landfills to repurpose into useful products, and creates a more circular model for their products with an eye to a sustainable future. Nox Bellcow Cosmetics Company Ltd., Erik Mak, VP, Marketing – Market Development of Beauty Facial & Sheet Masks in Asia – explains how regional preferences and consumer habits in Asia are driving innovations in product development, ingredients, and product categories for global growth. OMNOVA Solutions, Inc., Carla McBain, Specialty Coatings and Ingredients Technology Director – Innovative Technology Platform for Enhanced Functionality in Wipes – details a new technology platform for use with different and multi-fibers to enhance properties and substitute substrate components without impacting performance. Rockline Industries, Doug Cole, VP, Global Product Development – Wet Wipes Preservation: Where Do We Go from Here? – presents atypical systems and approaches to wet wipe preservation that align with safety, efficacy, and compliance with global regulations to protect the future of this category. Thor Specialties, Inc., Andress Johnson, Technical Manager, Personal Care & Household – I Want a Global Preservation System! – reveals the impact of various global regulations affecting the range of viable preservatives for household and personal care as well as industry initiatives to help mitigate concerns over preservatives. Trützschler Nonwovens Man-Made Fibers GmbH, Thomas Weigert, Director Application Technology, Jutta Stehr, Senior Marketing Manager, & Voith Paper GmbH, Kai Poehler, SM Application & Business Development Specialty Paper – The Next Level of Wipes – explores a new technology for making greener wipes from renewable resources as a solution to recent directives from the European Union regarding single-use plastics. Also among the highlights of WOW 2019 is the prestigious World of Wipes Innovation Award, which recognizes a product, or technology innovation within the entire wipes value chain that expands the use of nonwoven fabrics and demonstrates advancements in creativity, novelty of approach, uniqueness, and technical sophistication. Nominees are selected from a broad range of industry categories including raw materials, roll goods, machinery, converting, packaging, lotions, active ingredients, binders, additives, and end products. Three finalists will be chosen to present their innovation at WOW 2019 with the winner announced on June 27th. INDA is currently accepting nominations until March 8 for the World of Wipes Innovation Award®. Online nominations may be submitted via https://www.worldofwipes.org/award.html.